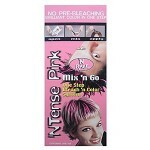 Bleaching is a chemical process which strips the natural or artificial color of the hair. To some men and women dying their own hair is a new concept, but the method has actually been around for centuries. In fact the ancient Egyptians are known as the pioneers of hair coloring since they used a mildly poisonous mixture of slaked lime and lead oxide to dye their hair black. Fortunately technology has improved since then, and you should be taking advantage of these improvements with hair dye products. How does Hair Bleaching Work? A mixture of hydrogen peroxide and an alkalizing agent is applied to the hair in order to strip it of colour. The chemicals penetrate the cuticle of the hair and break down the melanin (Melanin is a substance which means gives the hair its natural colour). Depending on your hair colour, the new shade as a result of the bleaching could be anywhere from a rust color to a pale white. 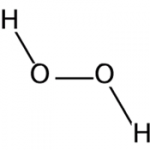 Hydrogen peroxide is a combination of hydrogen and oxygen. Its chemical description is H2O2. In high concentrations, it can be unstable and even poisonous. In lower concentrations, such as the types found in many homes, it works well as a disinfectant and cleanser. Before buying any coloring products, consider the TONE TEXTURE and HEALTH of your hair. Hair dye brands are not gender specific even if a male or female is on the front cover and therefore most brands that women use also work for men. Please be aware: Bleaching leaves hair cuticles dry, scaly and full of holes, therefore moisture replacement and protein based hair repair treatments are highly recommended. Heat can be used during post bleaching care because it allows the treatments to further penetrate and repair the hair shaft, but exposure of heat styling tools and extremely hot water should be limited. If you are tempted to have a go yourself, just always remember when bleaching follow all instructions and health and safety guidelines. Better yet, why not look for a salon near you on our Directory. You’ll find a friendly professional who knows exactly what to do, and can advise you on what’s the best treatment for your hair.